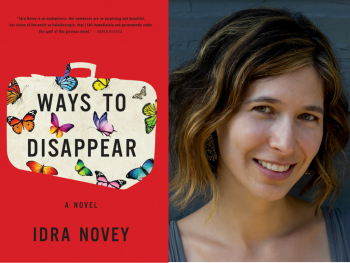 Poet and translator-turned-novelist Idra Novey has been awarded the 2017 Sami Rohr Prize by the Jewish Book Council for her debut novel, Ways to Disappear. The prize comes with a $100,000 award. The Sami Rohr Prize alternates between fiction and nonfiction, so this year’s finalists were four novels and one short story collection published in 2015 and 2016. Ways to Disappear is set in modern Brazil and concerns the disappearance of a legendary female novelist Beatriz Yagoda. A search ensues, involving her two children, her publisher, a ruthless loan shark, and the protagonist — her American translator from Pittsburgh. Novey’s debut won the 2016 Brooklyn Eagles Literary Prize for Fiction. It was also a finalist for the Los Angeles Times Book Prize for First Fiction, an NPR Best Book of 2016, a New York Times Editors’ Choice, and a 2016 Barnes & Noble “Discover Great New Writers” selection.